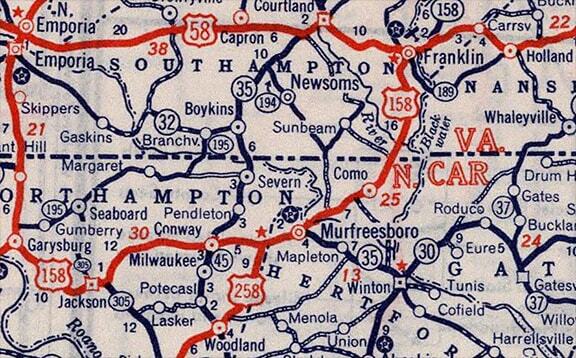 In 1941, the north end of US 258 was extended into Virginia, replacing part of US 158, and ending where that route formerly ended in Franklin. 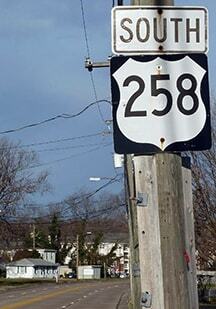 According to VA DoT records, that is still the official endpoint of US 258. 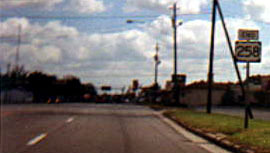 The faded directionals in that photo read "West 143" and "South 258". 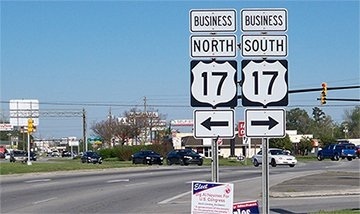 Astute observers might well wonder: if west was to the left, then how could south be to the right? The answer is that this is one of those examples where a US highway which ultimately tends in a particular direction (south) can temporarily head in another (north). 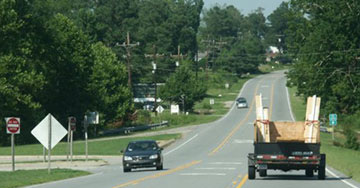 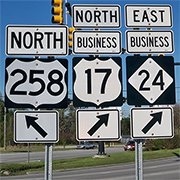 In this case, US 258 ultimately goes south from the Hampton Roads area and ends in North Carolina. 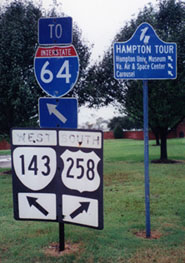 But from its "north" terminus, it actually heads further northward into Hampton, before turning to the west to serve Newport News, and then to the southwest to cross the James River. 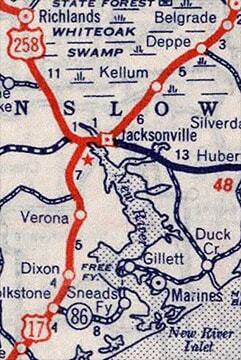 For this reason, the "northernmost" segment of US 258 may have been signed east-west at one time. 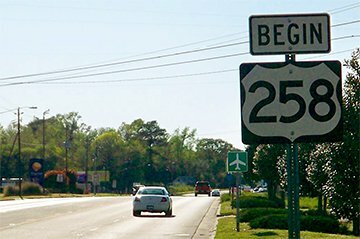 ​That perspective is actually looking northwest, and ahead the road bends even more towards the north for a couple miles, before curving more towards something resembling a southbound direction of travel.